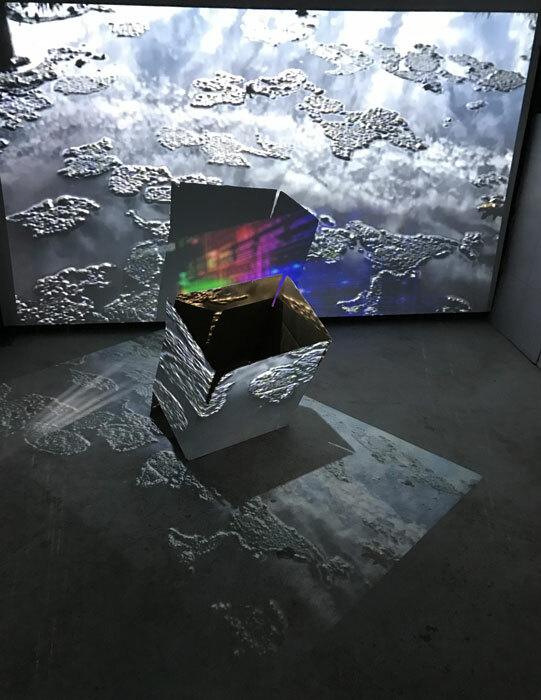 Shelter is a multimedia installation that uses kaleidoscopic projections to investigate the humanitarian issue of homelessness and society’s relationship to the natural world. While walking in natural environment I documented the reflection of sky and clouds on the puddle as it is a glob. I use cardboard to reference the homelessness as it is a floated shelter. While looking inside the box it is emptiness to point at fantasy and reality. I create a space as it is unstable and uncertain.